I'LL NEVER STOP LOVING YOU pendants, silverware silverplate, antique silver, sentimental pendants, nickel free, US made. Measures 19mm. Pendant style charms, word pendants, made from the old 50's tooling. 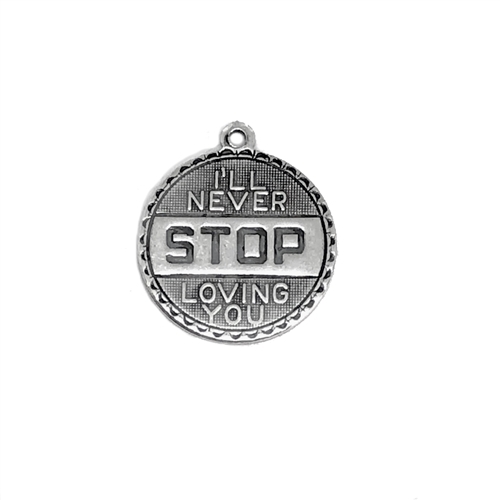 Inscription reads: I'LL NEVER STOP LOVING YOU. Silverware silverplate plating with black antiquing. Sold by the piece.